Winter’s here again! I used to love this time of year -- skiing, hiking through the snow and especially time spent aprés ski. That was before I was dead. You see, I died from freezing to death in a snow bank. The blow to my head might not have done it, but that blizzard is what really did me in. No one found me until the next day and by then I was buried in three feet of frozen snow. Those people from the soup shop were too late to save me. There are loads of things I used to love, like exotic trips, expensive clothes, perfume, jewelry, spending money and fooling around with men I had no business fooling around with. I can’t really remember very well, but I think that’s what got me killed. At least I’m pretty sure I was murdered because I was definitely too young to die. I just know you’ll find everything about my story fascinating and you can read all about me in A Spoonful of Murder. I still miss my lovely diamond drop earrings though. I was wearing them that night on the way to meet my lover. Problem is, I can’t remember who he was. Isn’t that strange? Death does that to you, I guess. Everything that seemed so important kind of fades away. When they found my body the next day, one of those earrings was sparkling in the sunlight. I could see it. I was looking down at my body, still hovering around, not really aware that I was already gone. Between you and me, I wasn’t a very nice person in life. I did a lot of really tacky things. I wish now I hadn’t because I might still be alive and able to wear all the jewelry and gorgeous clothes I owned. But then . . . well, I had a lot of fun. I’m just sorry it ended so soon! I still don’t think I deserved to die. Do you? Psssst ~ I’ve been told I’m part of a Killer Characters December giveaway. One lucky commenter will win a copy of their choice in the soup lover’s mystery series: A Spoonful of Murder or A Broth of Betrayal. (Sigh) I hope you’ll decide to read all about me. Just add your email to your comment, or contact my author at conniearchermysteries@gmail.com. She’ll know what to do. What a horrible way to die --- does sound like a good read though! Thanks for wonderful reading opportunity! Merry Christmas to you and all you love! Patsy's story is very interesting and the village of Snowflake VT is well worth a visit. Merry Christmas to you too! Patsy, I don't care how bad you were in life, nobody deserves to be bonked on the head then left to freeze to death all alone in a snow bank!! Don't worry, I'm sure Connie will let us know who it was!!! Poor Patsy - It was a terrible way to go! I'd tell you all about it but it would be a spoiler! Wow, that sounds great. I'll have to read all about you to find out what happened. Lol.. Thank you for tell us your story. Hi Lisa- I hope you get to visit the village of Snowflake VT! Hi Nancy - There are lots of interesting characters in the village. I hope you get to meet them all! I have this series on my TBR list. I just found it a couple weeks ago. Hi Shawn - I'm so glad you discovered this series. I hope you love the village and all its denizens! Hi Dianne - Definitely includes recipes! And yes these books can be found at B&N and everywhere! Hope you get to enjoy them. I'm a soup lover too, as you might have guessed! But I can't reveal Patsy's murderer yet. That would spoil the fun! Hi Paula! I'm so happy you love this series! I'm always researching and inventing recipes for the books. Hope you get to try them all. Hi Connie: I would love to read more about Patsy. And soup too! Perfect for a snowy cold day in New England. mlarkin@reitmr.com Thanks. Hi Mary - There's nothing like soup as comfort food in the winter. The seasons change through the series, but this first book takes place in the dead of winter in Vermont. Yum, I feel like having some soup right now! Hi Candace - I hope you get to win a free copy and visit the village! You are definitely entered in the giveaway! Hi Kim - I'm so glad to hear that! There are more books to come and more murders to be solved in Snowflake! Hi Debbie - You are definitely entered in the giveaway. Hope you get to enjoy a visit to the By the Spoonful Soup Shop! I love soup and your series. Hi Lynette - Thank you! The village is very real to me and I love to hear from readers! There are more mysteries to come too! I would have to start with "A Spoonful of Murder" so I can learn all about you. Hi Elaine - I like to start a series with the first book too whenever possible. I hope you get to know everyone in the village of Snowflake! Great concept - and the giveaways are a nice bonus. I am seriously wondering what this character did to end up bludgeoned in the head and left in a snowdrift. Guess I'll have to read the book to find out - you've certainly piqued my curiosity! Hi Claire - Patsy did a lot of nasty things and (hope this isn't a spoiler) sadly the wrong person is accused of the crime! Hi Jenny - I had a lot of fun plotting Patsy's demise! Wow Love the story line! Patsy had a rather chequered history. It's a wonder she lasted so long! Hi Kristen - I hope you get to visit the village and meet everyone in Snowflake, VT! I'm adding to my reading list right now! Thanks so much! I hope you fall in love with everyone in Snowflake and come back for every story! I'm intrigued, and would have to start with A Spoonful of Murder so I can read about you right from the start. Hi Laura - Patsy would be thrilled to know you're intrigued by her story! She is - was - a bit of a diva. I enjoyed the first book in this series. Hi Sandy - I'm so glad you liked A Spoonful of Murder! Things get even more interesting in A Broth of Betrayal and there are more stories to come. I love soup. Just tried a new recipe for Tortilla Soup by the Pioneer Woman. would love to get the recipes from your books! Hi Jodi - Tortilla soup is one of my favorites too! I hope you get to try some of the recipes in the series. The By the Spoonful Soup Shop has a fabulous chef! I'm so glad you like the soup lover's mysteries! 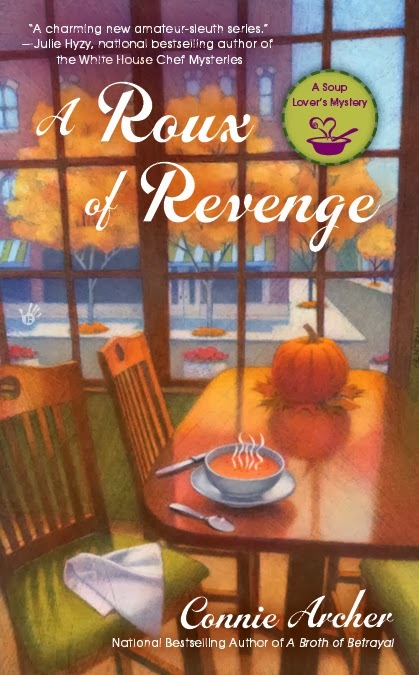 I'm excited that A Roux of Revenge will be out in a few months! I like how she wishes she was alittle nicer in life, yet is still concentrating on her bling bling after death! lol Sounds like a fun read! Added to my list. Poor Patsy! I don't think death really changed her attitude all that much . . .
Hi Michelle - I hope you win a free copy and visit the village soon! Patsy did not deserve to die in a snowbank but it makes for a great story! 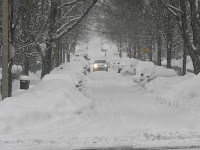 I'm from MN and people have been known to get lost during blizzards and die - but not from getting conked on the head. Series sounds good. Hi Karen - you definitely understand the dangers of winter! No one really knows if Patsy might have survived, if it hadn't been for that blizzard . . . Well, probably not. After all there had to be a crime to be solved! 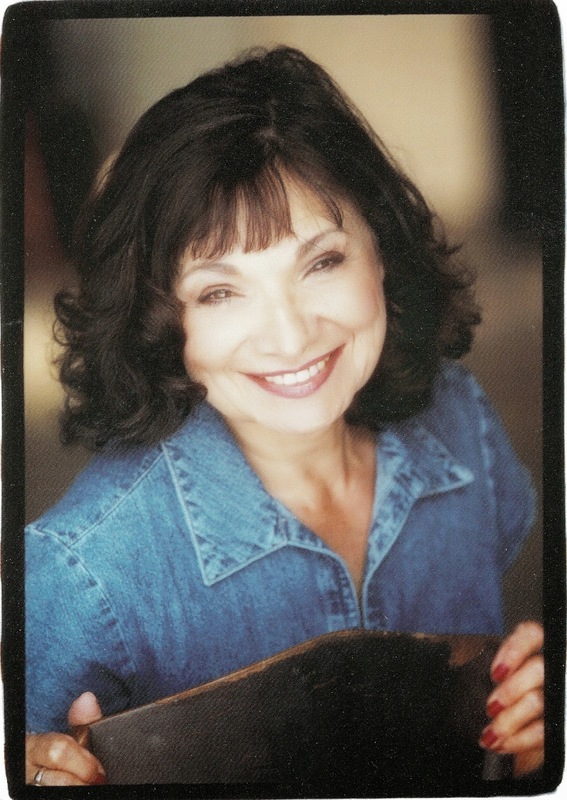 Hi Sally - Killer Characters authors are a great group and I'm excited to be a new member. I hope you get to visit the village and meet everyone there! Have not yet gotten to read any of your books Connie, but they do sound so good, and I would love the chance to win a copy of one of them to get me started. I love cozies and mysteries in general and some with a twist make reading all the more fun. Thank you for the great blog post and much success to you in the future as well. Happy Holidays. Thanks so much, Cynthia - You are definitely entered in the giveaway and I sure hope you get a free trip to Snowflake, VT soon! I 'm an avid mystery reader too! Can't resist them. And the soup shop has plenty of stories. Hope you get to visit the village! Hi Barbara - Sorry no, I don't know Gretchen but I'll look her up. There's a well known Vermont author named Archer Mayor whose books are wonderful. I hope you enjoy the soup lovers' mysteries soon! Merry Christmas and thanks for the opportunity to win! Your mysteries sound great! Thanks for joining in! All the best to you in the giveaway! OMG - what a great story. Love Cozy Mysteries. Hi Kiki - Thanks for visiting today! best of luck with the giveaway! How sad. A lost life-both before and after she died! How true Libby but fortunately Patsy's only fictional. Thanks for visiting today! Such a good question, Janet. You picked up on that! Best of luck with today's giveaway! I didn't realize You had a third book out. I enjoyed the first two. Hi Sue - I'm so glad you enjoyed the first two in the series! A Roux of Revenge will be out on April 1st. Hope you get to enjoy a new Snowflake VT story! Thanks for stopping by today! This definitely sounds like a book I'd like to read! Thank you, Norma! All the best to you for the giveaway! Hi Mary - Thanks for joining in today! Very clever but I still won't know whodunnit until I win the book! Very fun post, Connie. Hi Cindy - Thanks! glad you could chime in today. Good luck! Count me in - I'm all for bling. Happy Holidays! 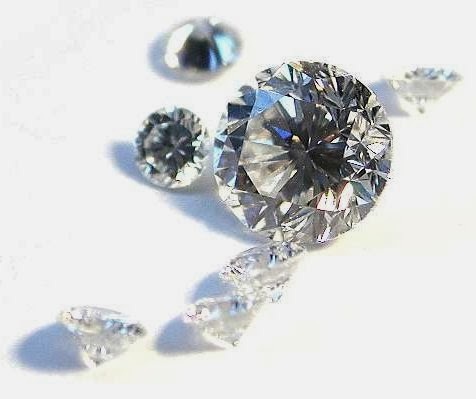 You know what they say about diamonds . . . A girl's best friend. Patsy loved them too! Happy holidays to you too, Karen! Hi Linda - Thanks for joining in today. Best of luck in the giveaway! Hi Sharon - you might change your mind when you learn more about Patsy. Thanks for joining us today and best of luck! 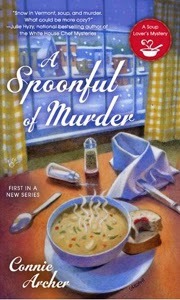 Hi Jody - I'm so glad to hear you enjoyed A Spoonful of Murder! 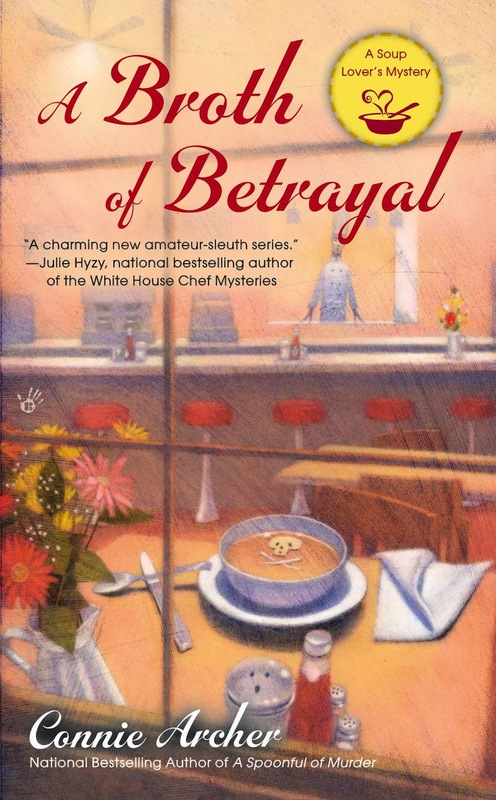 Things get a little more exciting in A Broth of Betrayal too. And, yes, A Roux of Revenge will be out on April 1st. Thanks for stopping by. Hi Cheryl - Thank you! I'm so happy you've enjoyed this series. Fasten your seat belt for A Roux of Revenge in April. There are strong romantic elements in that one, as well as a mystery. I hope you get to visit Snowflake VT again! All these books sound wonderful! Thank you for this opportunity! Hi Robyn ~ So glad you could stop by. I hope you get a chance to visit Snowflake, Vermont!